David Gilmour previewed details and a few songs from his forthcoming solo album at a writing conference in Ireland on Saturday. The guitarist previewed snippets of two songs, including “Boots On The Ground” and “Girl With A Yellow Dress”, a track that featuries a guest appearance by former Squeeze keyboardist and late-night UK TV host Jools Holland. Samson described the theme of the album as 'Carpe Diem', seize every moment, look to the future, 'Just Do It' and don't be afraid or hold back. 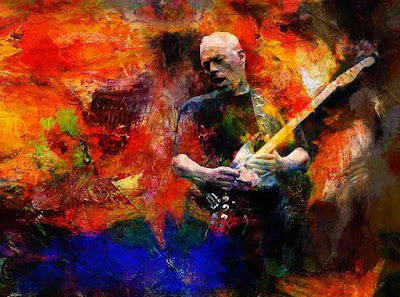 Gilmour will launch “Rattle That Lock” with a sold-out 10-date European tour, with shows starting on September 12 in Croatia; the run includes five concerts at London’s Royal Albert Hall.